From the #1 New York Times bestselling author of Gone Girl. Libby Day was seven when her mother and two sisters were murdered in “The Satan Sacrifice of Kinnakee, Kansas.” She survived—and famously testified that her fifteen-year-old brother, Ben, was the killer. Twenty-five years later, the Kill Club—a secret secret society obsessed with notorious crimes—locates Libby and pumps her for details. They hope to discover proof that may free Ben. Libby hopes to turn a profit off her tragic history: she’ll reconnect with the players from that night and report her findings to the club—for a fee. As Libby’s search takes her from shabby Missouri strip clubs to abandoned Oklahoma tourist towns, the unimaginable truth emerges, and Libby finds herself right back where she started—on the run from a killer. Gillian Flynn is the author of the runaway hit Gone Girl, an international sensation that has spent more than ninety-five weeks on the New York Times bestseller list. Her work has been published in forty languages. Gone Girl is now a major motion picture from Twentieth Century Fox. 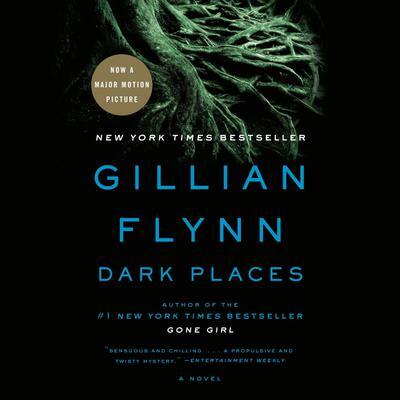 Flynn’s previous novels, Dark Places and Dagger Award-winner Sharp Objects, were also New York Times bestsellers. A former writer and critic for Entertainment Weekly, she lives in Chicago with her husband and children.